The Cosmotron line by Citizen had some revolutionary features. This is a Citizen Cosmotron 7806A, cleaned and ready for reassembly. It's an electronic balance wheel watch that beats 36000/hour, much faster than most watches with a balance wheel, giving superior timekeeping. The power for the balance is operated by transistor, so there are no electric contacts to wear out. This model has the "JSD" option ("Just Setting Device") which is an extra button on the watch that stops it, snaps the second hand straight up, and moves the minute hand straight up if it was close to straight up already, or to the nearest minute marker if not. Then when you release the button, the watch starts running. So aside from the already excellent timekeeping, it is very easy to periodically synchronize to a time standard. 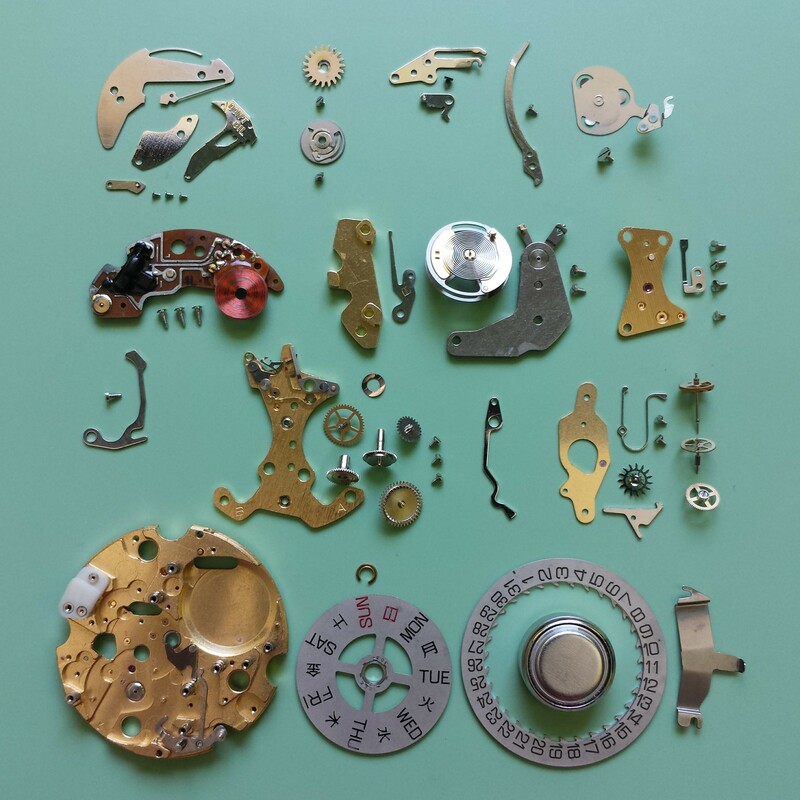 All this coolness comes with some extra complexity for the watchmaker, as you can see!